The St. Germain pool I like is just a stone's throw from the rue Bonaparte shop, so I figure I can workout first before I descend upon the Temple of The Ispahanian Rose. 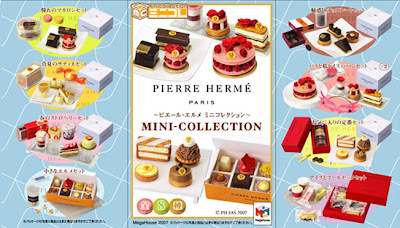 Again Herme is offering a contest to win his mini collection of desserts on his site. Do not despair if you are in the US! Dear Priscilla of NRFBQueen is happy to send you the same set and you don't have to win a contest or duke it out with thousands, even millions of fierce French women. 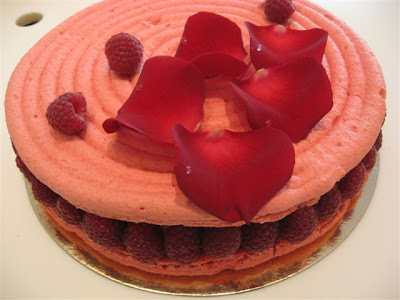 Meanwhile I'll be dreaming Amelie-like of days of macarons and roses... Ispahan Roses! ymmm it all looks good enough to eat. 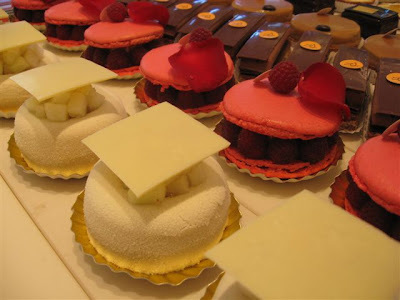 Better be looking for that public swimming pool while in Paris to work off these calories you will be tempted with. :) I really love the paintings. They are so soft and beautiful. How long will you be in Paris this time? Your paintings are very pretty, I can see how those Ispahans inspired you! Hi Carol! I love this post, and continue to love love love the watercolors I got from you. The Ispahan and Emotion paintings bring me joy every day! great post this morning Carol..I heard Pierre Herme will be teaming up with chef David Bouley to make pastries for a Tribeca cafe-bistro-market kind of deal..
Had a chance to eat many samples at La Maison du Chocolat last week but when I commented that the granache was cold, they looked at me like a t-shirt-wearing tourist. Best experience of the week was coffee and six macarons(petit, mind you) at Payards. Although I'm always fascinated by what surprises you may have in store for us, your paintings hold my fancy, most of all. Loved both of them today, but the 2nd one, in particular! 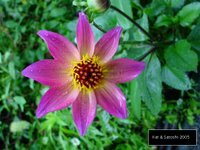 Overflowing with lushness! 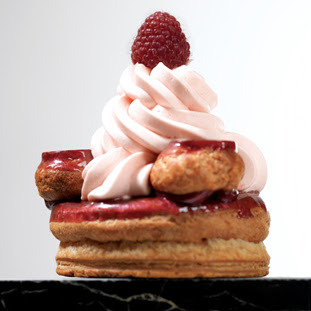 I saw that Fetish Ispahan on the PH website! Can't wait to hear about your adventures in Paris! Michael when you visit the Temple of La Maison du Chocolat you must not question ANYTHING! This is a sacriledge. They can do nothing wrong there. After all, they are FRENCH! Vienna for Beginners I will meet you at Demels in 10 minutes! CRIS I will be in Paris slightly over 2 weeks..2 weeks and 2 days :) I have my work cut out for me. I don't know why they don't all hire you on as their promoter, Carol--you're helping them do a booming business already, as it is. These are all scrumptious today! Such soft, delicate paintings. How are you keeping your feet on the ground? I would barely be able to contain myself!!! This burst of Rose, this anticipation...I cannot wait to see the real fetish feast!!! Wowowowowow!! Beautiful ! That's true. 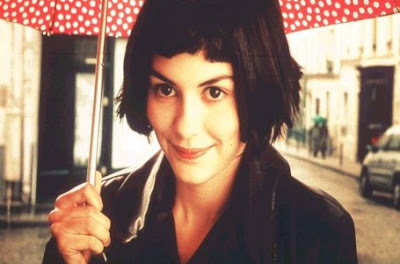 Your yummyes is out of this world, and Amelie is my fav movie. 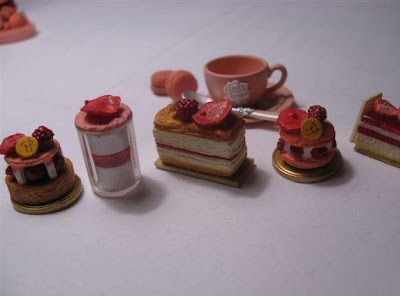 I love the mini Pierre Herme desserts. Oh my!!!! 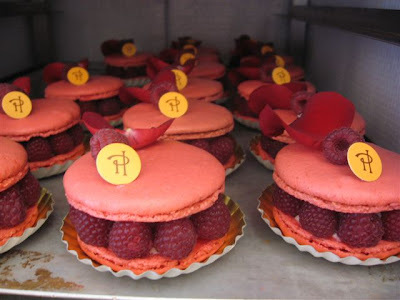 And those raspberry macaroons... You are so lucky and I'm so jealous!!!!!!!! Ok I think "anonymous" has a point here!! Must think about that one!! I see $$ signs for you!! All such luscious works of art. Especially your paintings! This is a case of why buy the cow, when the milk is free. If you create a product that the public falls all over themselves in love with...well, you must be very clever indeedy-do! 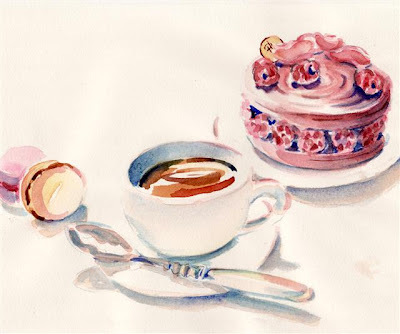 Besides the pastries are very challenging to paint shape and color-wise. Meet me at the Demel's at 12 minutes past 7pm? Oh no, that is a trick I won't fall for! After all, I do know their opening hours, 10am to 7pm, seven days a week. 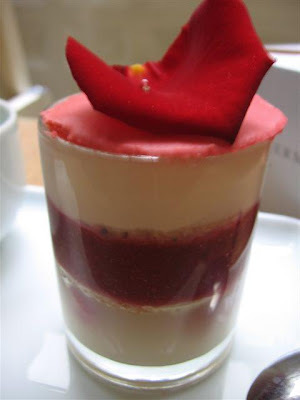 I wish I were in Paris to eat this delicious cake. J'ai l'eau à la bouche rien qu'en voyant tes photos! I fear all the excitement has clouded your thinking. You have only 6 days (and possibly a few more till the goodies you stockpile on day 6 go stale) so you MUST EAT DESSERT FIRST! You can swim on the 7th day. 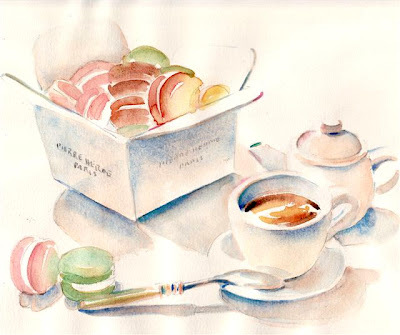 pretty paintings - delicious images! 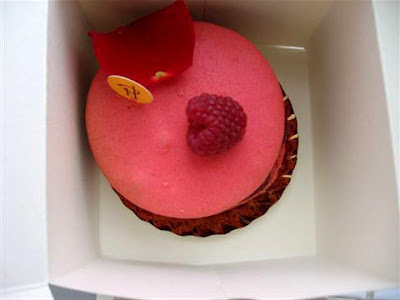 i am iranian and i know isfahan (ispahan) very well; i've had the ispahan religieuse de chez ladurée and the rose water taste was out of this world - now i have to taste the "hermé" version next time i am in paris.